We aim to provide our valued Edmonton community with the best possible value for money. We provide a wide range of Canadian Made & Internationally Designed furniture; from space saving Bunk Beds to California Kings and from cozy Condo Furniture to lavish top grain Leather Sectionals that can be configured in any way you'd possibly want. 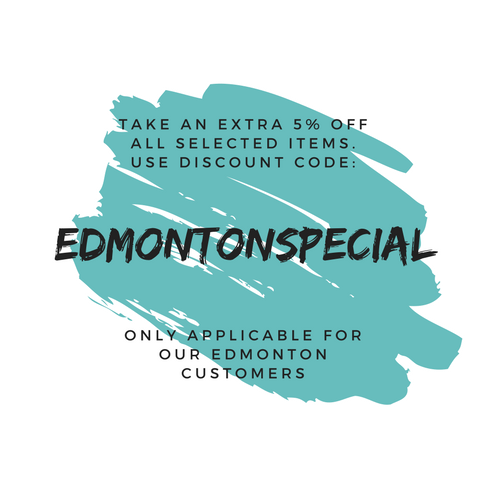 The coupon codes cannot be combined with any other coupon and are only valid for deliveries in Edmonton and many surrounding areas including: Alexander 134, Beaumont, Betula Beach, Bon Accord, Bruderheim, Calmar, Devon, Edmonton Fort Saskatoon, Gibbons, Golden Days, Itaska Beach, Kapasiwin, Lakeview, Leduc, Leduc County, Legal, Morinville, Parkland County, Point Alison, Redwater, Seba Beach, Spring Lake, Spruce Grove, St Albert, Stony Plain, Stony Plain 135, Strathcona County, Sturgeon County, Sundance Beach, Thorsby, Wabamun, Wabamin 133A and 133B, Warburg, and Wetakiwin.